After a 4-8 season in 2016, UCLA will start the 2017 season unranked in the AP Poll for the first time since head coach Jim Mora‘s first year. 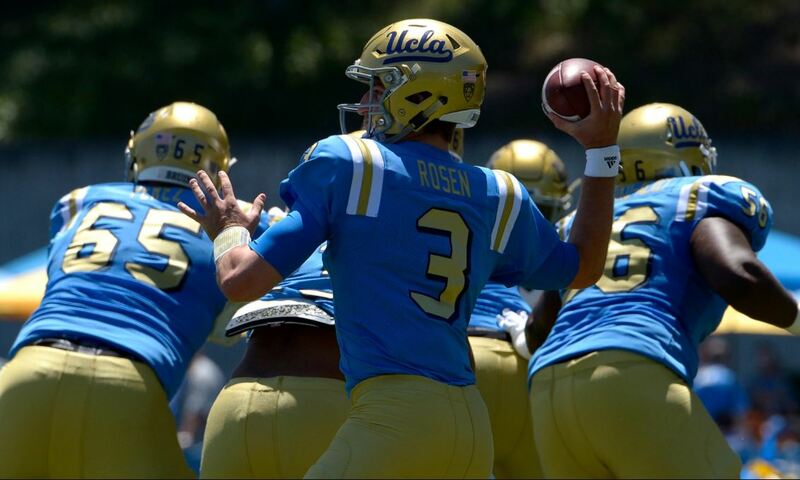 The Bruins received nine votes in the preseason AP Poll, which was released Monday. USC leads the four Pac-12 teams in the poll as the Trojans check in at No. 4, followed by No. 8 Washington, No. 14 Stanford and No. 24 Washington State. The Bruins are one of four Pac-12 teams in the “others receiving votes” section of the poll. Utah was the second team left out of the poll with 85 votes, trailing TCU’s 98. Oregon received 21 votes and Colorado had 18. UCLA’s first opponent, Texas A&M, earned three votes.